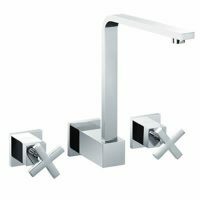 The Square Hob / Spa / Sink Set is an excellent choice when it comes to multipurpose bathroom tap sets. It is crafted from quality materials and is versatile enough work in any bathroom, kitchen or laundry. 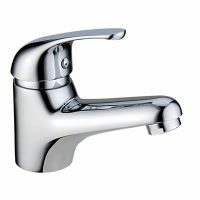 This tap set consists of one spout tap and two levers for adjustment of water flow. 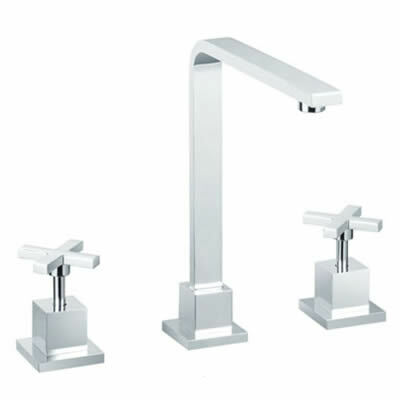 It features a very practical design and sports a durable chrome finish. The lever handles are ergonomic and offer great ease of use. 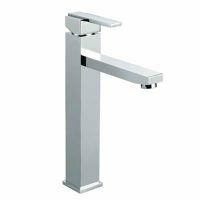 Furthermore, all tap parts feature solid brass construction, making it a highly durable and long lasting. The Square Hob / Spa / Sink Set is manufactured by Alpine Industries and it boasts remarkable quality. For this reason, Alpine even offers some great guarantees on the tap body, internals and finish. This tap set is certainly built to last – as expected from a product offered by a reputed manufacturer. Transform your bathroom, laundry or kitchen into a more functional space on a budget with this versatile tap set. Buy the Square Hob / Spa / Sink Set at an unbelievable bargain today – only at Ross’s Discount Home Centre!